Here we have an exclusive collection of women’s apparel, are you excited? 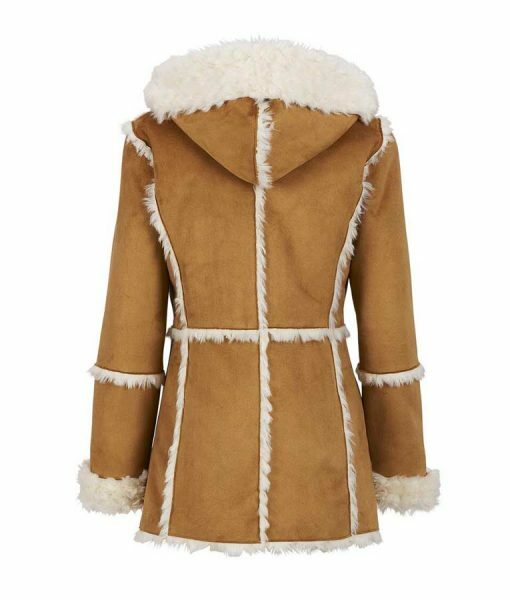 So, have this women’s brown suede faux fur overcoat with hood. It is one of the stunning pieces that can be wear at any special event for an appealing appearance. The overcoat that is available here is made up of suede leather and has inside shearling lining which is good for the winter season because it will keep you warm and comfortable. 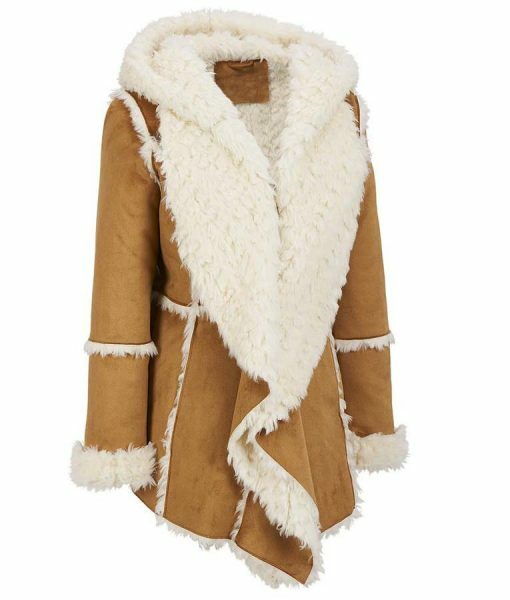 This women’s coat has many good features like lapel collar with a furry hood which increases the charm of the jacket and makes it more attractive. The coat has furry cuffs and it is featuring fur design on an elbow and on a complete coat. So, who don’t want to buy this classic jacket, just have it now and attracts the guests. Answered by the admin	Hello Carol, The coat was on sale for Cyber Monday only but we extended the date for two more days and have shifted the prices of the jacket back to normal. The color of the coat is as shown in the picture. WE do have variety of Brown shades in suede leather available. Also, our coat is true to size. You should order your jacket according to our size chart. But, in-case you want a loose fitting jacket then go one size up. Thanks!